How to Choose the Best Online Ecommerce Software | E-commerce | All Free Web Resources for Designer - Web Design Hot! Starting your own online business is an exciting time with many choices and options. You must choose the type of products you wish to sell, the design of your website, coupons and discounts you can offer and more. Creating and managing an online business is hard work, and the heavy load can be overwhelming. eCommerce Software is designed to make opening and running an online store as fast and trouble-free as possible. These applications have the tools you need to cover every step of setting up your business and every aspect of running a successful online store. The best eCommerce software will walk you through every step of the creating process. Even if you are unfamiliar with HTML and don’t know how to put top-notch security measures into place, eCommerce software solutions will do it for you. This type of application should help you register your own domain name, design your website, upload and manage your inventory, connect to a shopping cart and provide secure payment options to your customers. You just need the inventory, a little bit of time and a few creative ideas, and you will have an online business up and running in no time. When choosing the best eCommerce software, you need an application that will get the job done right. Everyone’s business is different, so you need to find a product that has the tools and features you need to create, manage, secure and advertise your business easily. The best eCommerce solution offers tools that provide assistance with hosting, website design and SEO integration. We looked for applications that encompass all aspects of creating and maintaining your website. eCommerce companies that offer large amounts of online storage space and bandwidth are ideal. Also, if you are unfamiliar or not completely comfortable with HTML, you can find an eCommerce software solution that offers a large number of website design templates and customization tools to ensure that the design of your website is unique to your business. Managing your business can be time consuming, but with the right tools and features, this type of software will save you time and frustration. Many applications place a limit on the number of products you can sell, so look for an eCommerce solution that offers plenty of inventory space. Look for software that allows you to sell both physical and downloadable goods. You also want a product that allows you to create a wide variety of custom reports. 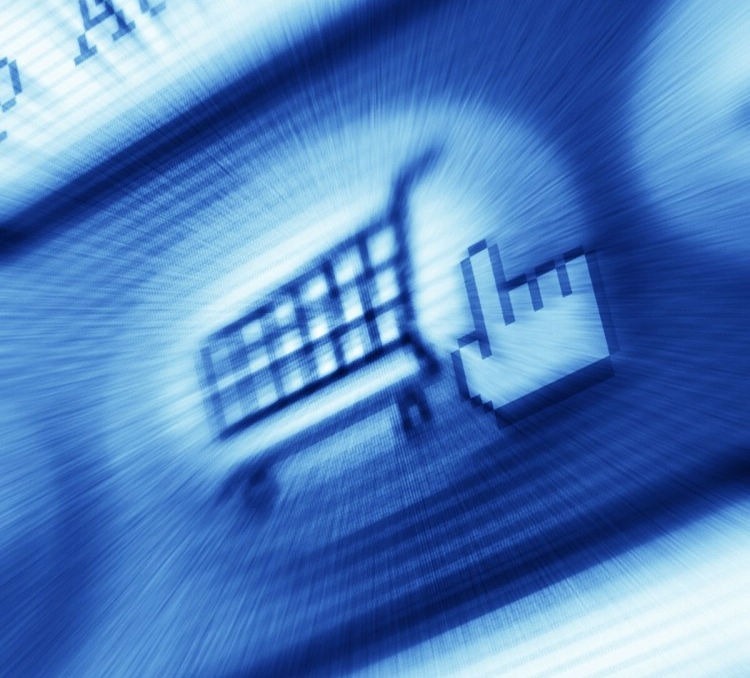 In addition, having a shopping cart that offers a wide variety of payment options will help you satisfy your customers. PayPal, eChecks and credit cards are just a few of the popular types of online payments that you will want to ensure the eCommerce software you choose supports. Having strong security options must be a priority when you’re working with dozens of online payment options. Find applications that offer fraud protection and Secure Socket Layer protection. Many other security features include requiring customers to enter the CVV2 code from the back of their credit cards. Also, look for password protection before entering administration panels or other business-related information. Your website will do you no good if customers can’t find your store online. Many of the best eCommerce solutions offer marketing tools to attract customers and keep them coming back for more. Many of the popular marketing tools to look for include coupons, gift-wrap capabilities, daily deals and loyalty programs. Also, affiliate programs and strong social networking tools are advantages that many of the best eCommerce solutions boast. Questions and concerns will likely arise while you’re running an online business. The best manufacturers provide several options for reaching a customer representative, such as telephone, email and live chat. The manufacturer should also provide a variety of additional resources, such as extensive FAQs, user guides, a knowledgebase and even a support forum. By choosing the right eCommerce software, you can get your online business up and running in no time. This software will eliminate the hassle and the frustration of the complex process of setting up and running an online store, and will give you the tools you need to make your online business a success. This entry was posted on Wednesday, September 5th, 2012 at 10:56 pm and is filed under E-commerce . You can follow any responses to this entry through the RSS 2.0 feed. You can leave a response, or trackback from your own site.